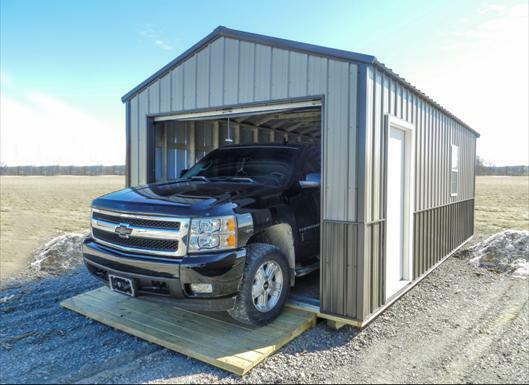 Our founder has worked in the portable building industry for over 15 years and established our company, Miami Valley Barns, in March 2010. We give credit to God as the leader of our company and for providing us with wisdom and a passion for excellence. Our company was founded on God’s principles and that is what guides us today. Here at Miami Valley Barns we believe that quality products and excellent service are the most important items we can offer to our customers. When you choose a Miami Valley Barn, you are choosing the product with the best quality in the industry as well as the highest level of professionalism and service. Our buildings are built in the Miami Valley Area of Ohio, as well as northern Kentucky, by experienced Amish and Mennonite craftsmen. Our delivery system is unparalleled and free delivery is included with all our products (within 40 miles of your dealer). Our professional delivery staff will take great care of your purchase during transport, ensuring that you receive the best we have to offer. We would like to thank you for considering a Miami Valley Barn! We are proud of the Miami Valley Barn team, and we hope that we will have a chance to serve you! Miami Valley Barns, LLC warrants to the original purchaser that your Miami Valley Barns, LLC product is free from defects in material or workmanship upon delivery, and will replace or repair any components that do not provide reasonable service within a period of three (3) years from the date of purchase. Correction by repair or replacement of materials or workmanship in your Miami Valley Barns, LLC product, which our examination shall disclose to our satisfaction to be defective, shall constitute fulfillment of all liabilities of Miami Valley Barns, LLC under this warranty. In order for this warranty to be valid, building must be properly maintained and kept clean and building must be two (2) feet away from any objects (trees, shrubs, buildings, etc.). Miami Valley Barns, LLC shall not be responsible for the natural characteristic of some wood to split, warp or twist. This warranty shall not apply to any Miami Valley Barns, LLC product or any part thereof which has been damaged by fire, flood, water, earthquake, earth movement, hail, wind, adverse weather conditions, vandalism, theft, act of God, accident or other event, or a casualty which is customarily covered by homeowner’s insurance. The warranty does not cover damage caused by abuse, misuse, alteration, neglect, improper maintenance or use of building in a commercial application. Metal has a separate warranty from Central States Manufacturing, Inc. Central States Manufacturing, Inc. warrants that the color coated finish on its steel roofing and siding panels will not, within a period of 40 years after the date of shipment crack, check, peel or lose adhesion. Central States Manufacturing, Inc. warrants that metal will not rupture, fail structurally or perforate within a period of 20 years. Central States Manufacturing, Inc. warrants that the color coated finish on its steel roofing and siding panels will not, within a period of 10 years after the date of shipment crack, check, peel or lose adhesion. Central States Manufacturing, Inc. warrants that metal will not rupture, fail structurally or perforate within a period of 20 years. A restocking fee of 10% of purchase price shall apply to all custom ordered buildings that are cancelled after materials have been ordered and/or construction has begun. In stock buildings have no restocking fee unless delivery was attempted.